Originally known as South Bay, Oceanside, NY has grown to become one of Long Island’s celebrated beach communities. With convenient access to Reynolds Channel to the south and Parsonage Cove and Middle Bay to the east, Oceanside is a wonderful place for boating and fishing enthusiasts. While there is lots to love about life in Oceanside, life here doesn’t come without risk. With its extensive shoreline property and commercial developments reducing the land’s natural ability to absorb water, Oceanside is especially susceptible to flooding. That is why having a Flood Insurance Oceanside Policy is such an important investment, whether your home is located off Lawson Boulevard or near Foxhurst Road. Flooding is the United States’ number one natural disaster when it comes to lives lost and property damaged. What are you doing to protect your property? That’s where Denis A. Miller Insurance Agency comes in. Locally owned and operated, we are the largest provider of Flood Insurance Oceanside quotes in New York State, with a special focus on serving homeowners and business in Oceanside. Not only do we have the expertise and resources to meet all of your flood insurance needs, but our local presence and outstanding business practices, mean you can feel confident that we’re always here to provide you with top-notch service. Premiums for flood insurance are set by the United States government, and that means your rate is the same regardless of which insurer you select. That is why it is so important to work with a company you can trust to deliver the finest service and flood insurance claims support. That company is Denis A. Miller Insurance Agency. Your home represents a substantial investment. 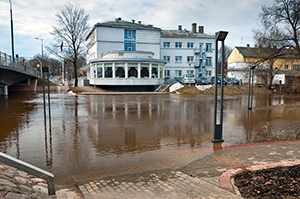 Regrettably, in the wake of Hurricane Sandy in 2012, many homeowners and businesses didn’t recognize the importance of flood insurance until it was too late. Only flood insurance Oceanside policies protects your home and personal property from damage brought about by rising water or mudflow. While many of us have rebuilt; we will never forget the devastation caused by Hurricane Sandy. In the event of future flooding, you can be confident that with Denis A. Miller Insurance Agency, flood insurance claims are quickly and we stand ready to deliver the service and support you need. In fact, flood insurance pays covered claims, even if a federal disaster is not declared. So, you can have peace of mind that you are always protected. From Atlantic Avenue to Long Beach Road — regardless of whether you own a house, condo, commercial property or you rent, flood insurance Oceanside quotes are available to anyone if your property has previously flooded. Whether your mortgage requires flood insurance it or you recognize the importance safeguarding your investments, Denis A. Miller Insurance Agency is here to assist you in selecting the right flood insurance policy to protect your Oceanside home or business. Experience the difference, and see for yourself why we are Long Island and New York State’s trusted choice for flood insurance. Let us put our expertise to work for you.